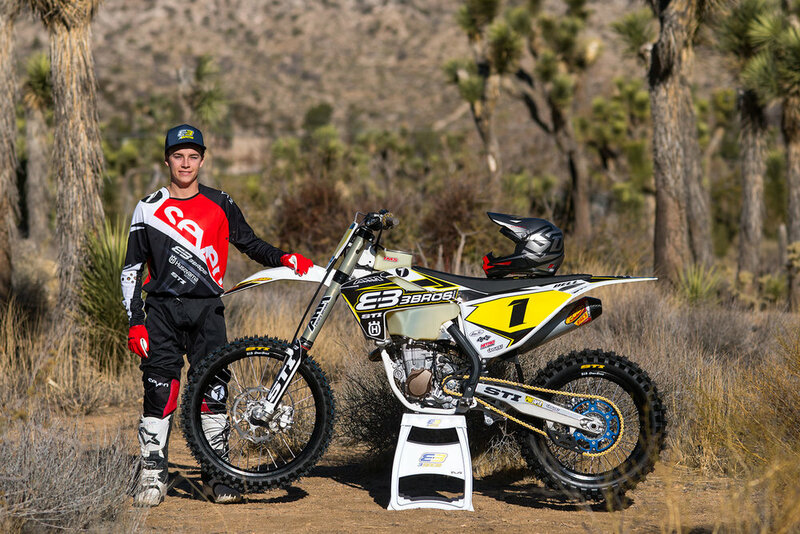 Costa Mesa, CA (January 4, 2018) – Three Brothers Husqvarna and STI announce the creation of 3 Bros. STI Husqvarna, a United States West Coast off-road racing team. The team is set to compete in the 2018 AMA District 37, Big 6 series as well as the WORCS series. Race team members will include Jacob Alvarez and the reigning AMA District 37 Pro class champion Zach Bell. Bell is ready to defend his title as the Big 6 WCGP Pro class champion, while also competing in his first full year of the World Off-Road Championship Series (WORCS) series aboard a Husqvarna FX 450. Rising off-road star Jacob Alvarez, piloting a Husqvarna FC 250 will pursue both, the AMA Big 6 series in the WCGP Pro II class and WORCS series in the Pro 2 lights class. The team will also compete in select events on the west coast, such as National Hare and Hound Association (NHHA) and newly formed Sprint Hero series promoted by the WORCS organization. Jacob Alvarez will race the Big 6 series in the WCGP Pro II class, and WORCS series in the Pro 2 lights class piloting a Husqvarna FC 250. “STI is proud to support off-road racing and top-notch competitors with our new STI Tech 2 Pro line of tires. We believe in Zach and Jacob as much as our tires,” said STI’s Craig Petersen. The entire 3 Bros. STI Husqvarna team will make their debut racing in the first round of the AMA District 37 Big 6 series on January 13th and 14th, 2018 in Adelanto, California. Look for the 3 Bros. STI Husqvarna team to debut at the first round of the Big 6 series on January 13th-14th in Adelanto, California.